This we know, and many of you get out your armies weekly and fight for supremacy on the battlefields all across the Imperium and beyond. But soon, you'll have another way to fight, on the RPG tabletop. Ulisses North America has started taking pre-orders for their new Wrath & Glory 40k RPG. Get your name on the list and be one of the first gamers with this new book when it's available. Game designers aren't infallible. Sometimes, they come up with rules that don't quite work out. They're human. It happens to all of us. What's best, though, is to learn from your mistakes and fix them. Well, the original Adeptus Mechanicus rules weren't quite what people were looking for, so the Forge World team gave them an update. You can check them out now. If you know me, you know I love giant robots. So, while I've not played 40k in quite a long time, the addition of even more giant robots to the game certainly has me stopping and going, "hmm..." and then going to check my bank account. Games Workshop has started taking pre-orders for their Imperial Knights codex, as well as new kits, widgets, dice, and more. 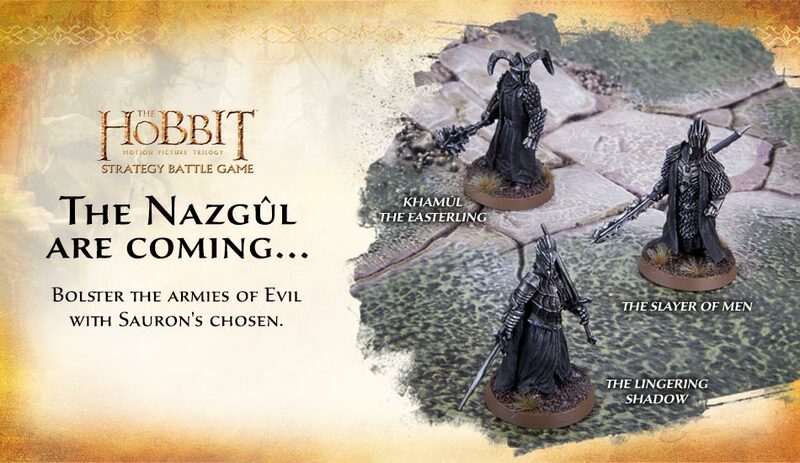 A fan-favorite army that existed and then didn't for quite some time, the Harlequins are getting a new Codex for 40k. You can pick up these stealthy, laughing jokesters now. They're Eldar, but without the angst. 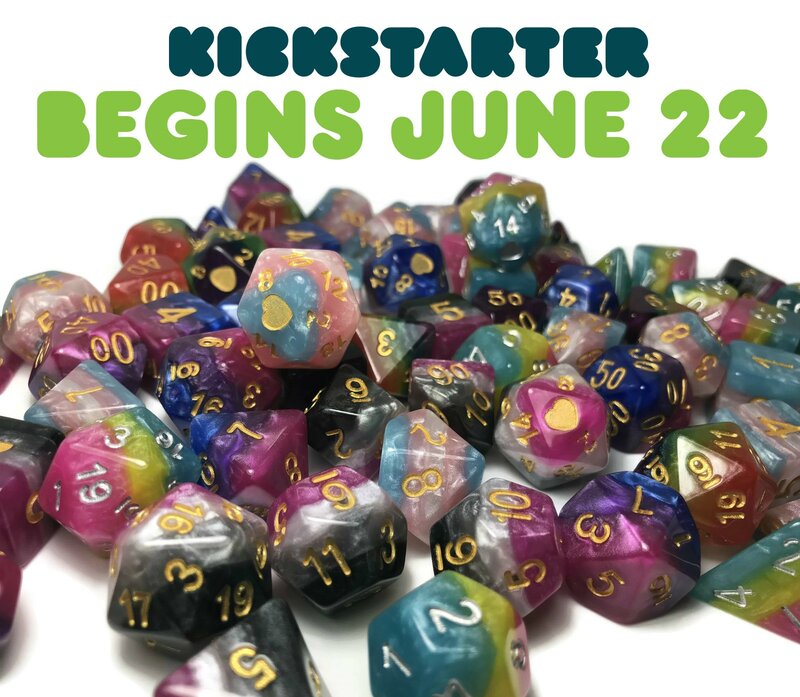 Pre-orders are being taken now for the updated Codex, along with a collector's edition. Humanity is beset on all sides by foes. The Xeno. The Witch. The Heretic. All of them would undo the empire in an instant if they could. That's why the Deathwatch are there to keep us safe. They head where no one else will and fight of things that nobody else could. The new codex for Warhammer 40k is available to pre-order now for this rugged, rag-tag group of fighters. Slogging it on foot into battle is no fun. You've got enemy small-arms fire, the possibly difficult terrain, and have you ever had to smell what's going on out there? Whenever possible, taking an APC to the combat line is going to be a better option. And for your Imperial troops, they can now hop onboard an Aurox Armored Transport. You can order yours now from Forge World. They're also doing a "last call" for Elysian Drop Troops if you want 'em. I've said it before, and I'll say it again: Space Janitors have the coolest gear. Forge World is taking more orders for some Legio Custodes bits, as well as the Shield Captain. You've gotta have people in charge of the group, or you might end up mopping up something someone else already did, and that's certainly no good. The Imperial Fists are siege masters. They can topple any structure. And the fortifications they, themselves, make are some of the strongest in the galaxy. Forge World is cranking out new Imperial Fists figures. You've seen the Rogal Dorn, but they've added honor guard and others like that over in their webshop. Bit of a shotgun release week for Forge World. You've got a new Primarch in the form for Rogal Dorn. You've got some Legio Custodes characters and bits (space janitors have the coolest gear). Then there's the Space Wolf terminators and bits. 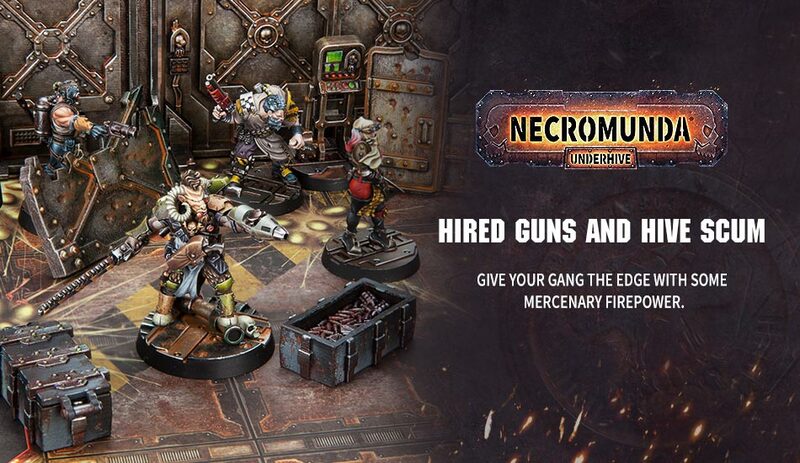 And, of course, new Hired Guns for Necromunda. Like I said, a bit of everything going on. You know what's annoying to clean up? Sand. It gets everywhere. It ruins the wax finish on floors. It's a pain to try and get rid of. So I can see why the Adeptus Custodes might be getting a bunch of reinforcements. They see the new Thousand Sons stuff coming and they just know that those heretics are going to track sand all over everything. Ugh. Just the worst! How inconsiderate! 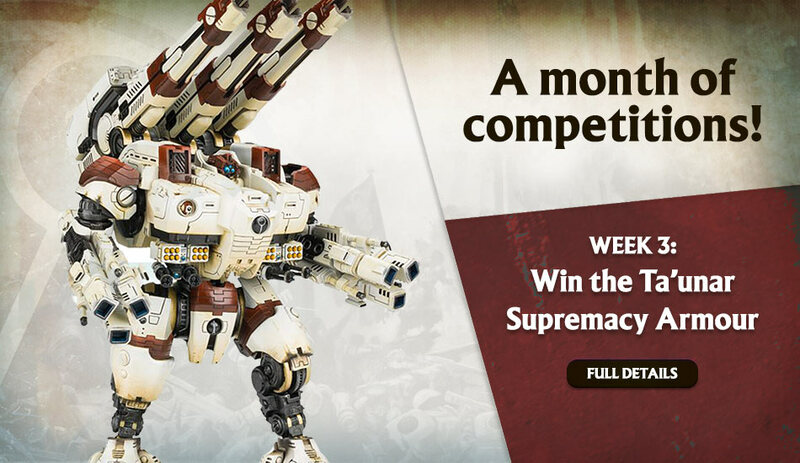 The month's almost over, but that just means there's one last chance to win something from Forge World. The previous have all been titans and walkers of some type. This time around, they're going sans-legs with the Astraeus Super-heavy tank. Put in your order and you could win. I swear, space janitors have the coolest gear. I wish that I could've had stuff like this. The best we got were the portable power washer stations with all the different soaps right on them. But I guess if you're going in to clean up after xenos and heretics and whatnot, some soap and hot water isn't going to be enough. 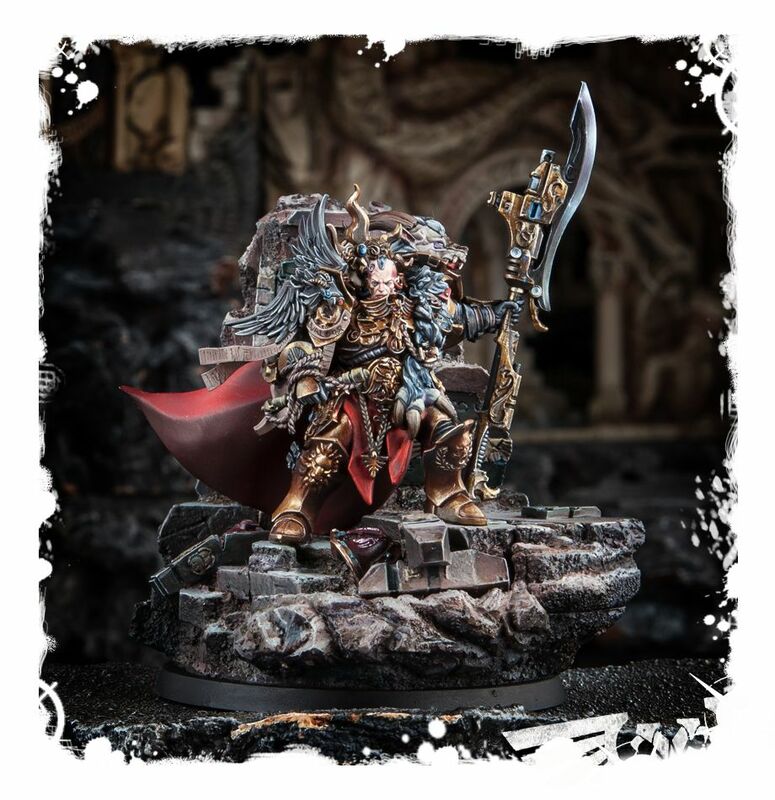 Games Workshop is taking pre-orders for a whole host of Adeptus Custodes figures, as well as their new codex, over in their webshop. 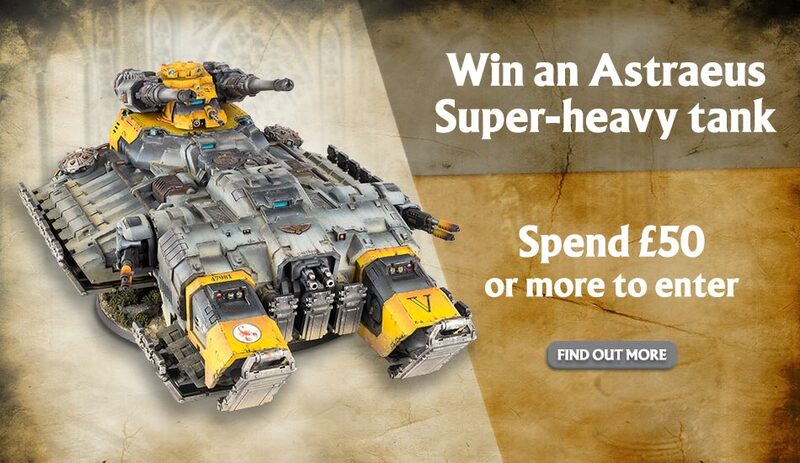 Forge World is continuing their January of giveaways. This time around, it's an Acastus Knight Porphyrion that you could win. Just head to their webshop, make a qualifying order, and you could be getting something huge in your shipment for nothing at all. 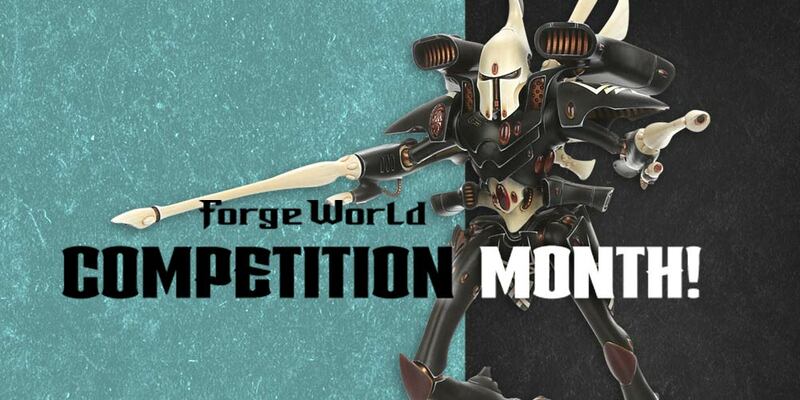 Forge World is taking January as an opportunity to give away some free stuff. They're on their third giveaway. This time around, it's the high-tech-looking T’au KX139 Ta'unar Supremacy Armour. Just head over to their shop and spend £50 this week and you'll be added to the drawing. 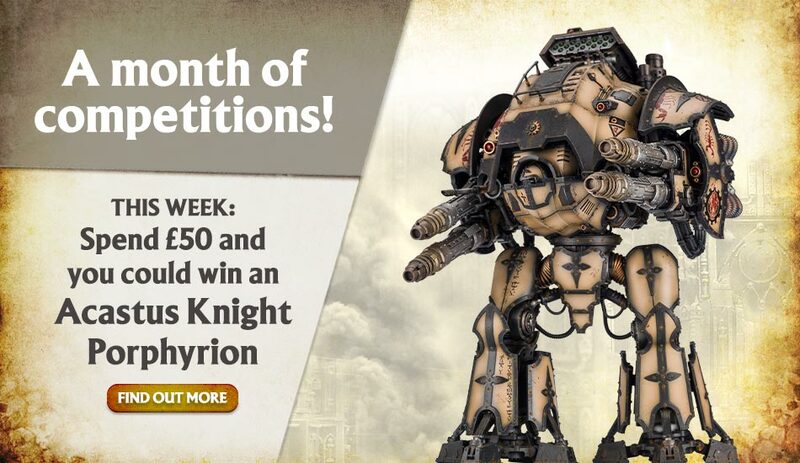 All this month, Forge World is giving away titans. Each week, a new winner will be announced who will get themselves one of these massive machines of war for nothing. This time around, it's those space elves, the Eldar, who are having the spotlight shined upon them. If you want a free Revenant, head over to Forge World and make an order.